A group of business leaders in Rock Hill, SC, including our very own Jason Broadwater, presented a concept called Knowledge Park to City Council in a workshop on Monday. The concept is about understanding Old Town (the city’s center) as a business park. There are 5500 jobs in Old Town, the highest density of employment in the county. Thus, we are building from a position of strength to recruit and encourage job creation in that district. Also, every healthy city has a healthy heart. 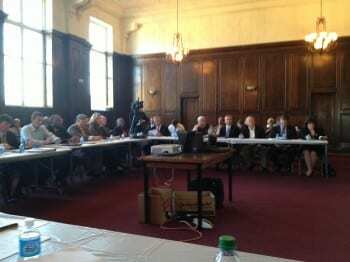 Share the post "Knowledge Park Concept Presented in Rock Hill City Council Workshop"